Macaroni cheese might be all the rage, – though I don’t know why, after the first few mouthfuls it becomes samey, claggy and dull – but what about the far more British equivalent: the lighter and infinitely versatile cauliflower cheese? School dinners are always a quick way to put people off a dish and have given it a reputation for being boring and not particularly great tasting. Certainly for years school dinners did it for me and cauliflower cheese, and, to this day, are the reason I can’t eat shepherd’s pie and cottage pie. But, on a cold, wet, dark winter’s night, what could be more perfect than eating the piping hot contents of a bowl of cauliflower cheese while huddled up under a blanket on the sofa watching Netflix. 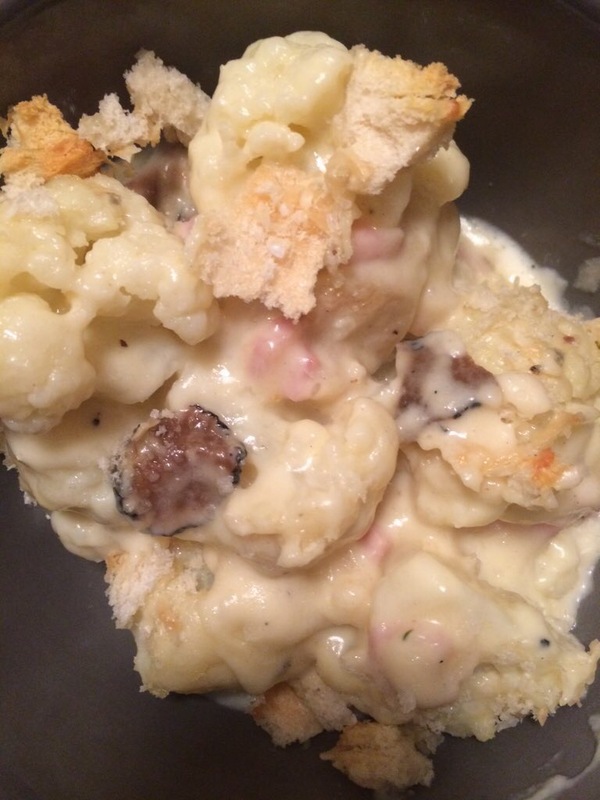 That gooey bubbling cheese is just delicious and the cauliflower is lighter than the heavy macaroni. I will admit that it can get a bit samey as you keep eating but, with truffle, bacon and breadcrumbs thrown into the mix, it becomes sublime and, if possible, more wintery. Wrap up warm and enjoy and play with the recipe as you want, try mushrooms (though it will make it a bit grey looking). 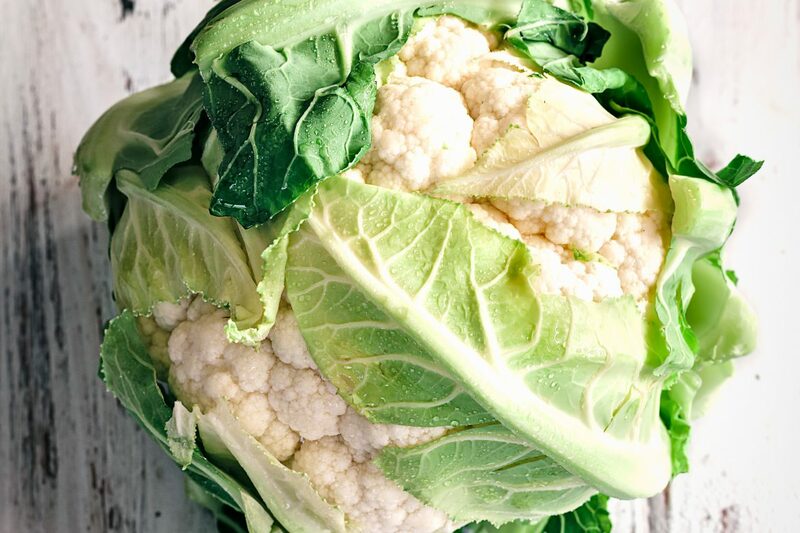 Par-boil the cauliflower florets for 10 minutes. Then drain them from the water and place in an ovenproof dish. While the cauliflower is cooking, fry the bacon and then slice it into squares about 4mm across. Next make the béchamel sauce by melting the butter in a saucepan, then add the flour and beat it all together to form a paste. Next slowly pour in the milk while whisking it into the paste. Then stir in the cream and add the cheese, mustard powder and seasoning. Continue to whisk the contents of the pan until it thickens up. Now add the bacon and the truffle slices and stir in. Heat the oven to 180°C fan. Pour the sauce over the cauliflower, sprinkle over the breadcrumbs and grate on a light covering of parmesan. When the oven is heated, cook the cauliflower cheese for 15 minutes or until the top is golden and the sauce is bubbling away. When cooked, take it out of the oven, drizzle over the truffle oil and spoon the cauliflower cheese into bowls to serve.